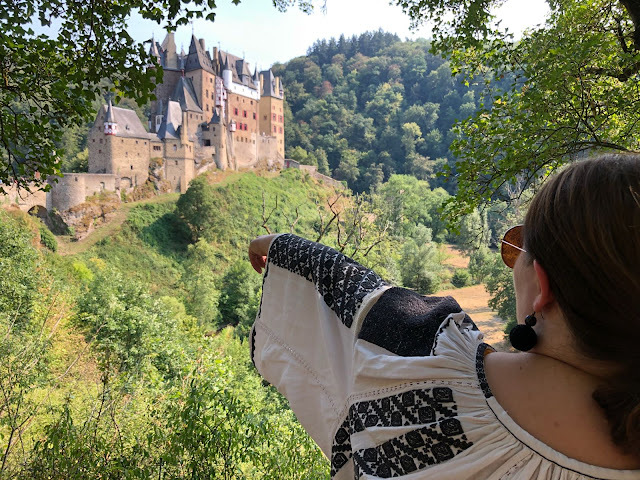 From all the castles in this region, Burg Eltz holds a special place in my heart and every time I visit it is pure joy. It is far enough form Luxembourg so going there is almost like a day trip, but at the same time is close enough to visit it as many times as I want during summer. There is also Vianden, but being the only complete castle in Luxembourg arranged in a medieval style, it's always crowded with tourists, Eltz is still different. 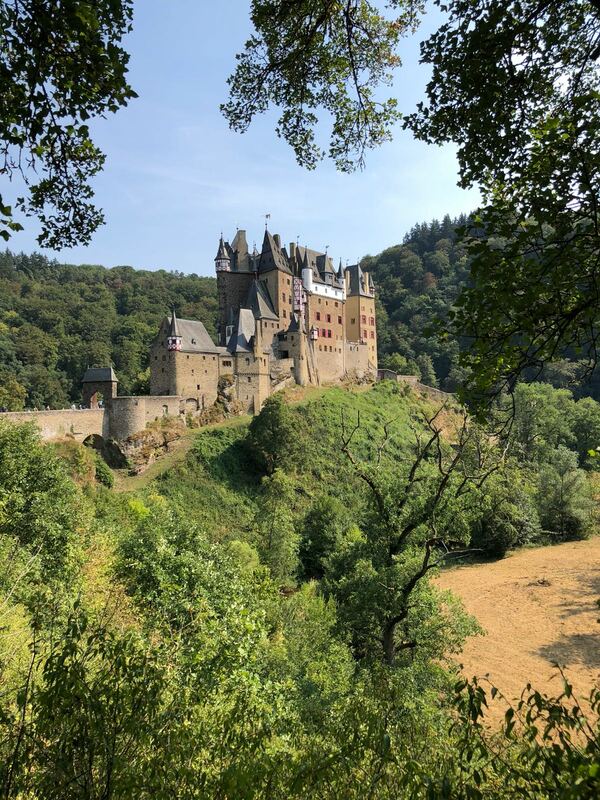 What makes Eltz unique is that it is still owned by the same family since the 12th century and that is was never destroyed, which means that what you see now is the actual castle and not a reconstruction as most of the castles that made it to our time. Actually, there are three castles in one, each of them owned by a different family. 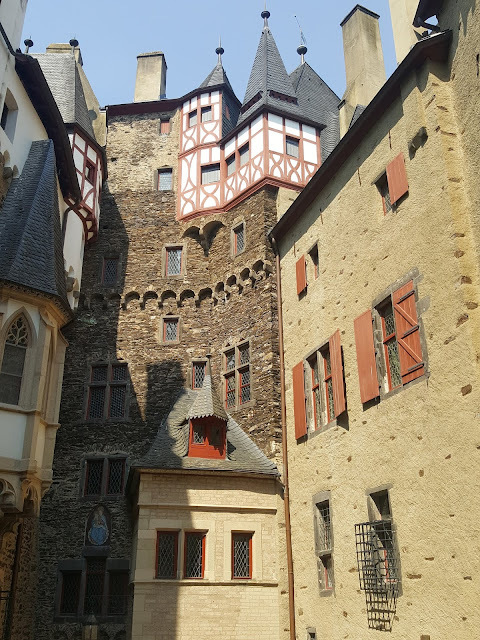 You see you had to be very rich to afford a castle so examples such as Eltz are common. In our days tourists visit only two of the castles as the third is still inhabited. Also Burg Eltz is visited from April to October, so if you plan your visit this summer you have to hurry. 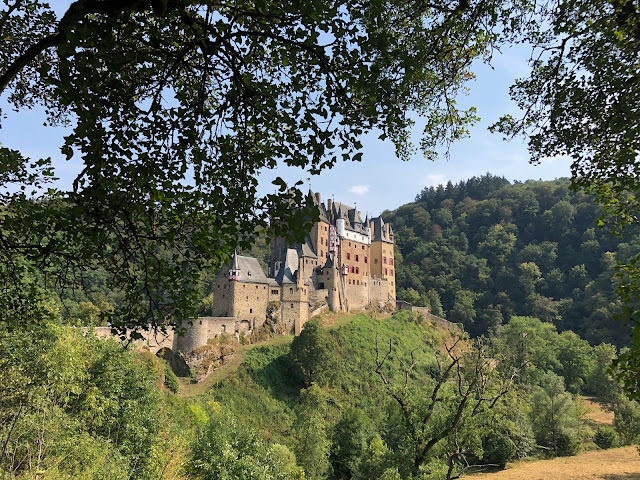 By car, Burg Eltz is at about an hour and a half from Luxembourg, you have a generous parking and terraces for coffee or even food. Be warned though, you can only pay cash at the restaurants, but you can purchase your ticket by card.